Laptops these days can be something of a disappointment for power users — as they’ve gotten thinner and lighter, manufacturers have removed ports like USB and ethernet in order to save space. Thankfully, it’s not too difficult to add some of these ports in if you need them. 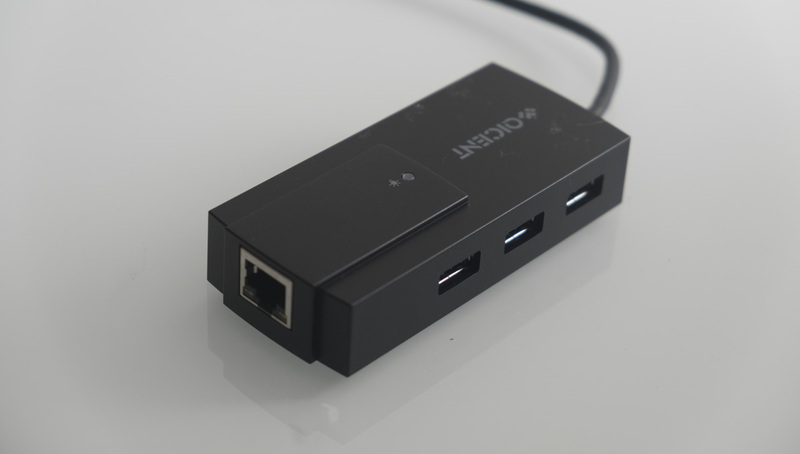 Today, we’re looking at one way to do just that, with the QICENT USB 3.0 Hub with Ethernet. This cheap £12 hub adds three USB 3.0 ports and one gigabit ethernet port, letting you connect up your laptop to fast wired networks and plug in all of your favourite peripherals too. We’ve put it to the test, so read on to see how this QICENT hub fared! The QICENT has a sensible boxy design, with the three USB ports running along one of the longer sides and the ethernet port at the opposite end to its cable. A small blue LED is lit when the hub is connected to power. The hub isn’t the most compact that we’ve seen, but it’s still small enough to toss into a backpack or laptop sleeve without issues. In order to test the QICENT USB and ethernet hub, we’ll separately test its USB and ethernet capabilities. We’ll be looking to see if it will offer good transfer speeds over both mediums, even when loaded to capacity with peripherals. We filled the ports of the QICENT hub with various accessories, including a USB drive. We measured the speed of the USB drive using the CrystalDiskMark benchmark, then redid the test with the drive directly connected to the PC. If the hub is working well, we shouldn’t see any significant speed difference between the two tests. Happily, that’s what we found, with speeds near-identical on both tests. We also performed a network speed test using the ethernet adapter connected directly to another computer with a gigabit ethernet card. 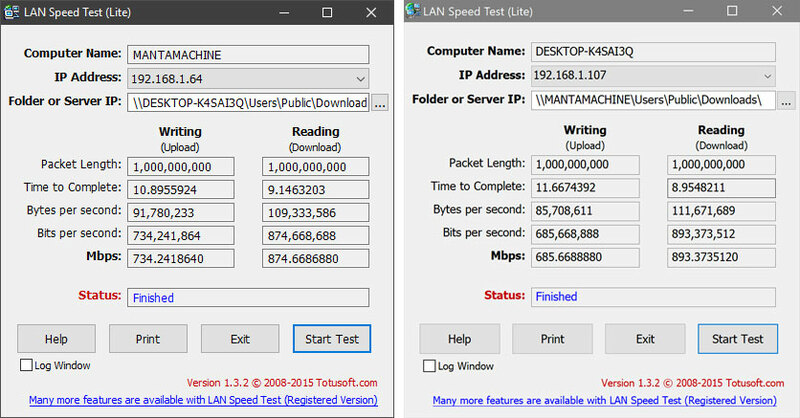 The LAN Speed Test Lite benchmark resulted in read speeds of 874 Mb/s and write speeds of 734 Mb/s when transferring a 1000MB file — pretty good for a gigabit connection! With the direction reversed (i.e. the other machine running the test), we got similar results: 893 Mb/s read speeds and 685 Mb/s write speeds. We’re satisfied with the performance of this QICENT USB 3.0 and ethernet hub. Given its low price and reasonable design, we’re happy to recommend it. You can purchase this USB & ethernet hub on Amazon via the country-appropriate links below.